Lundin Gold Underground Mine Development Reaches the Orebody at Fruta del Norte | Lundin Gold Inc.
VANCOUVER, Jan.14, 2019 /CNW/ - Lundin Gold Inc. ("Lundin Gold" or the "Company") (TSX: LUG, Nasdaq Stockholm: LUG) is pleased to announce that the underground mine declines have reached the orebody, and level development has begun at its Fruta del Norte gold project ("Fruta del Norte" or the "Project") in Ecuador. Total of 4.5 kilometre ("km") of underground mine development achieved. Overall engineering 85% complete and Project construction 45% complete. Company has committed 70% of its capital expenditure. Majority of large process plant mechanical equiptment now on site. Mountain Pass Quarry Exploitation Agreement signed. More than three million manhours without a lost time incident achieved. "Our team has reached, and in some cases exceeded the Project's targets, all while maintaining excellent safety standards," said Ron Hochstein, Lundin Gold's President and CEO. 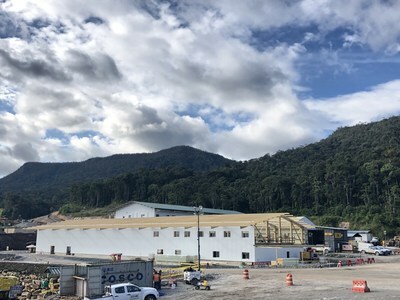 "With 70% of our capital expenditure committed and detailed engineering nearly done, Fruta del Norte is on schedule to meet its target of producing first gold in the fourth quarter of this year." As at December 31, 2018 a total of 4.5 km of underground mine development had been achieved. The K'isa decline was completed on December 9, 2018, after 2.1 km of total development and transitioned to production level 1170. 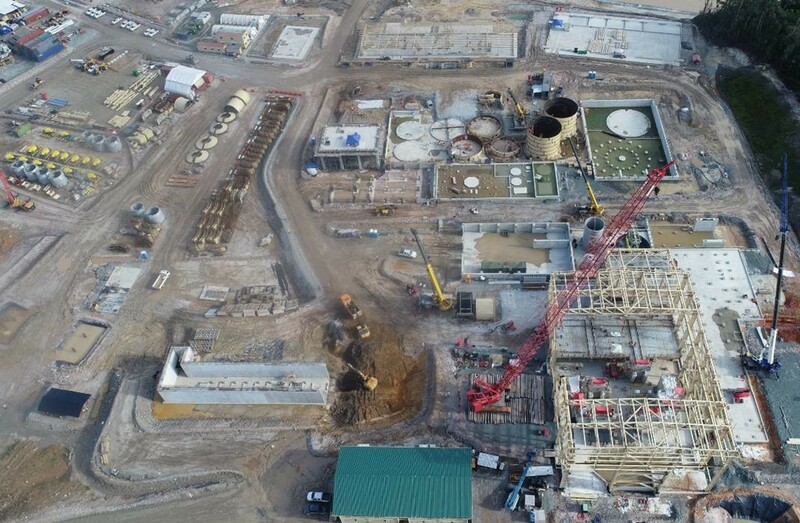 Production level 1195 began on December 7, 2018 and a total of 330 metres ("m") of level development on two levels has been completed. December average advance rates in K'isa were 9.0 m per day versus a target of 7.1 m per day. The Kuri decline is at 2,070 m of total development and is progressing towards lower production levels in the mine. This decline was completed this month. December average advance rates in Kuri were 5.0 m per day versus a target of 4.2 m per day. Overall, advance rates in both declines exceeded the plan by 11% due to better than expected ground conditions and lower than anticipated water inflows. Lundin Gold is preparing the first stages of transition to owner operations and its mining fleet has started to arrive at Fruta del Norte. The first group of mining operator trainees began the final part of their training program, which takes place on site. Process plant concrete foundations are 62% complete and structural steel erection is progressing as planned. 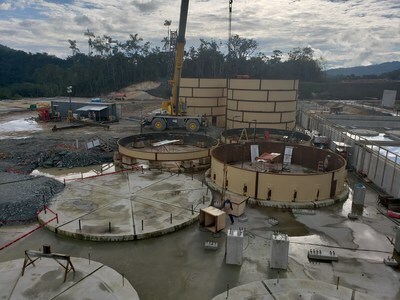 The remaining mechanical equipment is expected to be on site in the first quarter and installation of the carbon-in-leach circuit and grinding mills has started. 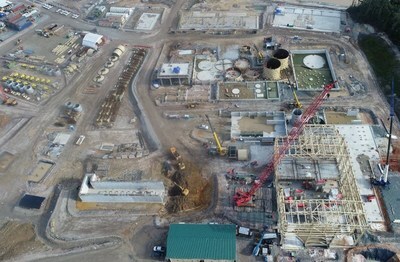 Commissioning of the process plant is still on track to begin in third quarter of this year. With process plant engineering substantially complete, engineering efforts are now focussed on the paste plant and water treatment plant facilities. The Company successfully negotiatied the Mountain Pass Quarry (the "Quarry") Exploitation Agreement with the local government in the fourth quarter of 2018, and extraction of aggregate materials began shorty after. Material from the Quarry was necessary to move forward with the construction of the tailings storage facility. Tailings storage facility access roads and the polishing pond were completed in the fourth quarter, while construction advanced on the surface water perimeter diversion ditches around the tailings storage facility. Construction continues on three fronts with 28 out of 107 towers, or 22% of powerline infrastructure, being complete. 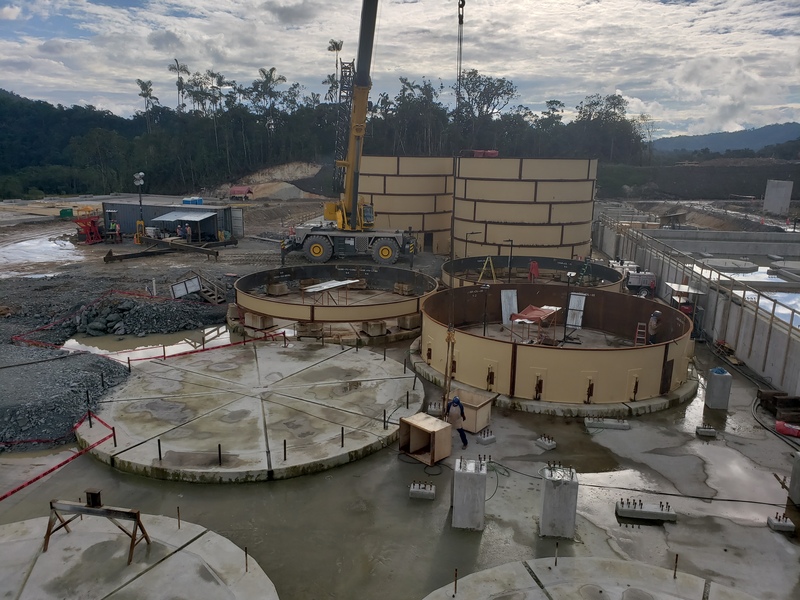 Paste plant mass earthworks were complete in the fourth quarter of 2018 and concrete works have begun. Permanent mine maintence shop is in operation. 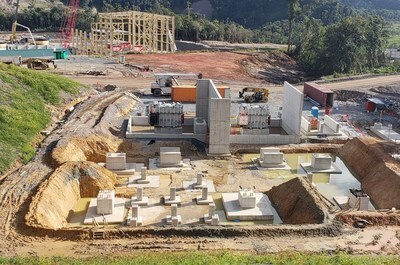 Mine dry/administration building is well advanced and the mine emergency power substation is scheduled to be completed this quarter. The main Fruta del Norte power substation concrete is complete and the two main transformers have arrived at site and are positioned on the foundations. Several photos of the Project are appended to the end of this news release. The information in this release is subject to the disclosure requirements of Lundin Gold under the EU Market Abuse Regulation. This information was submitted for publication January 14, 2019 at 5:00 a.m. PT through the contact persons set out below.